Tobacco, a plant of the genus – Nicotiana is found in variety of species with the major specie known as N. tabacum. The name originates from the Spanish word – tabacor which is a name for medicinal herbs. This leaf which had some cultivation sites in Mexico has been known to be used by Native Americans who grow and traditionally use it as a seal for a peace treaty. Some tribes see it as a means to sending prayers to the creator hence, a gift from the creator. However, tobacco leaves contain an addictive chemical component known as nicotine which is also destructive to the nerve tissues of insects. Depending on the species and location of planting, some tobacco plants contain other components such as germacrene, anabasine and other piperidine alkaloids. Bidis: It possesses a higher concentration of nicotine, tar and carbon monoxide more than conventional cigarettes and are therefore, more addictive. They are also more carcinogenic. Cigarettes: These contain over 400 chemicals with more than 60 known carcinogens. 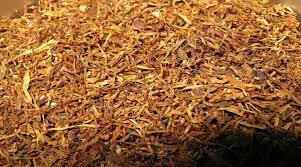 They are a combination of both cured and finely cut tobacco. Studies have shown that cigarettes cause several cancers including cancer of the bladder, mouth, lungs, pancreas and stomach. It is also a risk factor for heart disease and stroke. Cigars: These are fermented tobacco. The fermentation results in some chemical and bacterial reactions that gives it a taste and smell different from cigarette. Other products include: pipe, kreteks, hookah and smokeless tobacco – snuff and chewed tobacco. 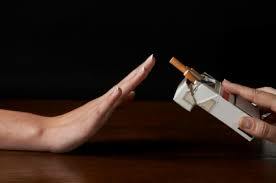 No matter the form of tobacco, it contains nicotine and many other harmful substances. Considering the carcinogenic effects of most chemical components of tobacco, the Federal Ministry of Health warns that ‘smokers are liable to die young’ and the World Health Organization admits that tobacco is ‘a threat to development’. For development to be complete, we need both the young and old – if the young dies, who carries out their part of the development process? Say ‘No To Tobacco’ for enhanced development.